Work Progresses on Our New Bimah! With our ceiling repaired and new paint on our walls, work has begun on our new bimah. Our aims in the new design were to make our layout simpler, to raise up the Torah reading table (so you would actually have to go up for an aliyah!) and to make our service closer and more participatory. 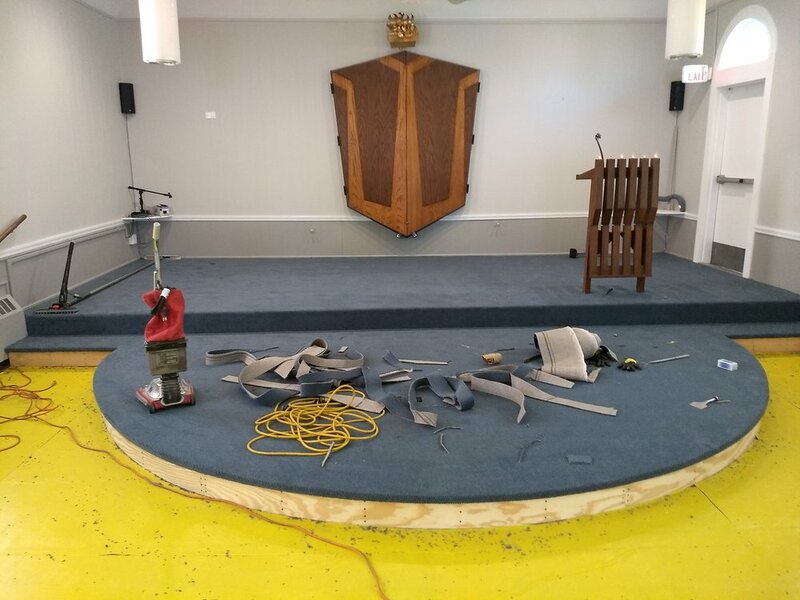 We achieved the first objective by removing the podium on the left side of our sanctuary. This we did at the time of the painting. Here is how it looked before construction began. Note the iron railing where the old podium used to be. 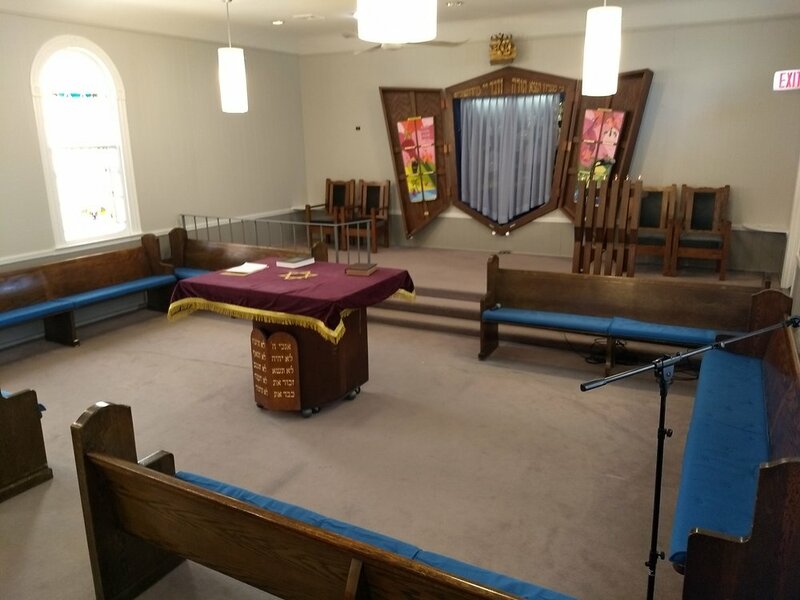 Note too that the Torah reading table is at the same level as the congregational seating. And note the three shallow steps up to the ark. The building begins. The metal railing is gone and the old steps have now been boxed in. And now, the new carpeting is going in! All should be complete in the next day or two!